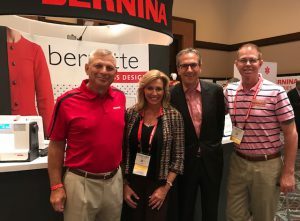 I can’t even begin to express how excited we are to represent both Bernina AND BabyLock in both of our stores! 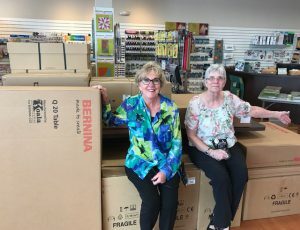 The addition of Bernina to our Tampa store creates the perfect mix of products for the sewing enthusiast. The product selection created with these two brands combined has the very best products for every one of our customers. Whether you’re a quilter, an embroiderer, a garment maker, costume enthusiast or someone who dabbles in all of these; we have the best machines on the market for you! We are busy this month with staff training, recruiting educators, preparing our service department and stocking our shelves. Please stop by and see what all of the excitement is about! 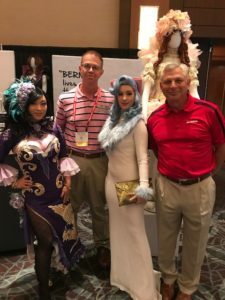 We will officially kick-off our representation of the Bernina brand in our Tampa store during September — National Sewing Month! Please stay tuned for promotions, events and a really fun celebration! !